First single from the band’s upcoming album, due out in 2019. 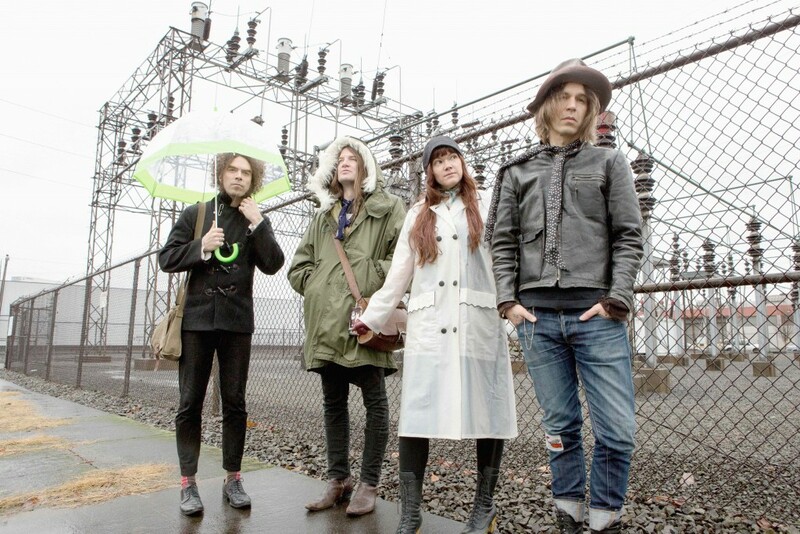 If there’s anything Portland, Ore.’s Dandy Warhols have established over their quarter century in the rock game, it’s that they are a very subtle band. Okay, maybe “Not If You Were The Last Junkie On Earth” was a bit on the nose, but in the haunting video for their new single “Forever,” the indie rock icons prime the pump for their upcoming 10th studio album with some deep, literary visuals. The Arnold Pander-directed clip that dropped on Wednesday (Oct. 24) opens with the band members — who appear as hazy ghosts — exiting a swank Mercedes sedan, marching toward a club where the bouncer looks them over before letting them take a down elevator. “I don’t know what I’ve been told/ Streets of heaven are paved with gold/ Why do I know I never left that day,” singer Courtney Taylor-Taylor moans over a circus-like piano and draggy beat. The action them moves to a corporate board room, where a quartet of suits eyeball the band as a woman pricks their fingers with a large knife so they can sign their names in blood. What does all that mean? Taylor-Taylor described the creepshow action in a statement accompanying the clip, which serves as preview of a new album due out early next year on Dine Alone Records. The Dandys will play their Dec. 1 annual holiday show at the Crystal Ballroom in Portland before kicking off their 25th anniversary European tour in Antwerp, Belgium at De Roma VZW on Jan. 24. Check out the “Forever” video below.